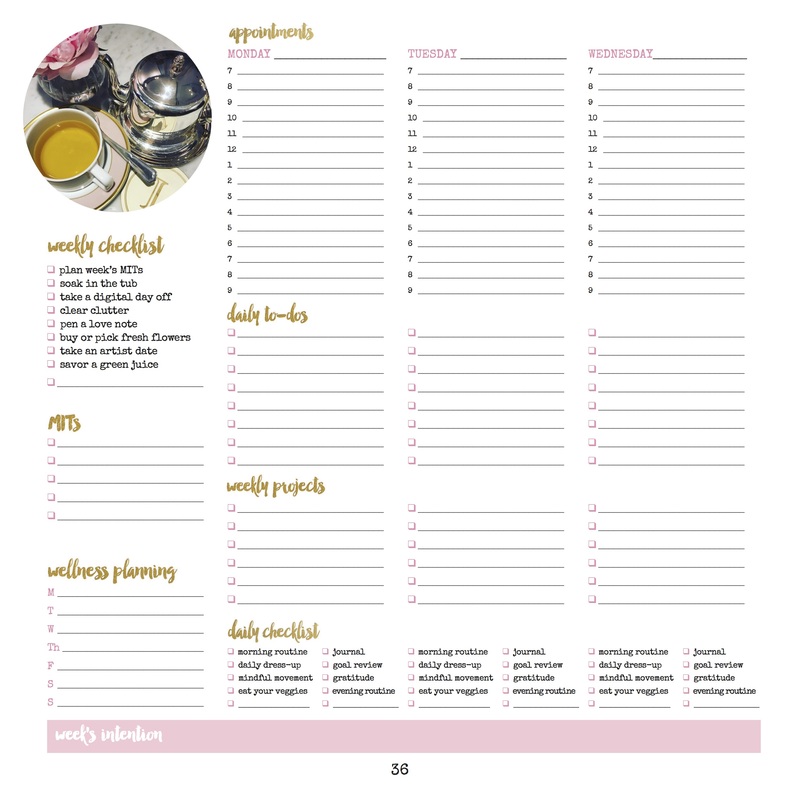 This 200-page dateless Daybook is a pink and gold planner, lifestyle organizer, and wellness guide all in one. 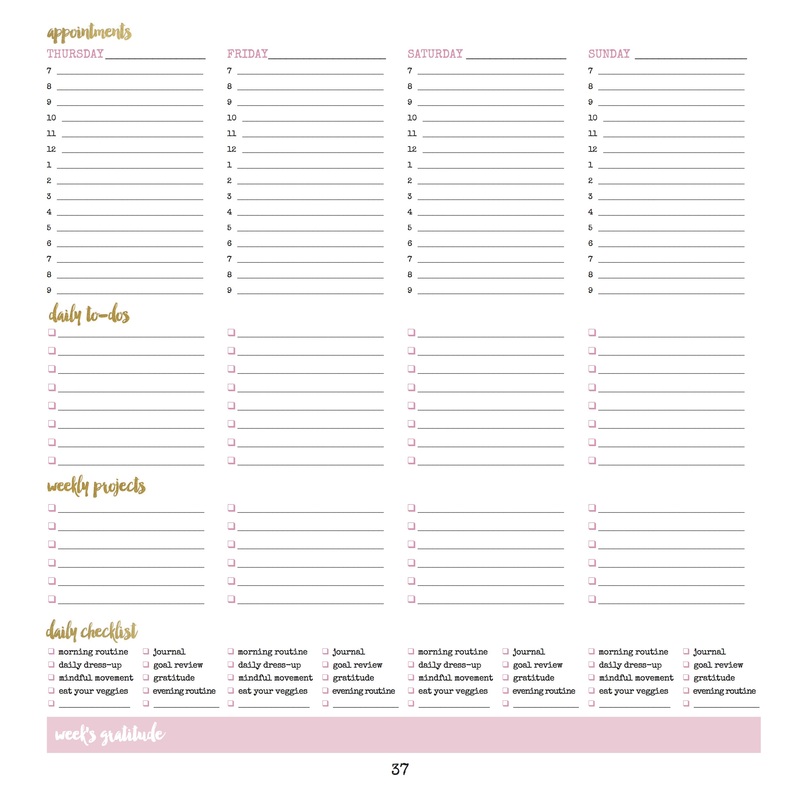 Stay in touch with your week’s most important tasks and your life’s most important dreams. Inside you’ll find inspiration to live tranquilly and intentionally. 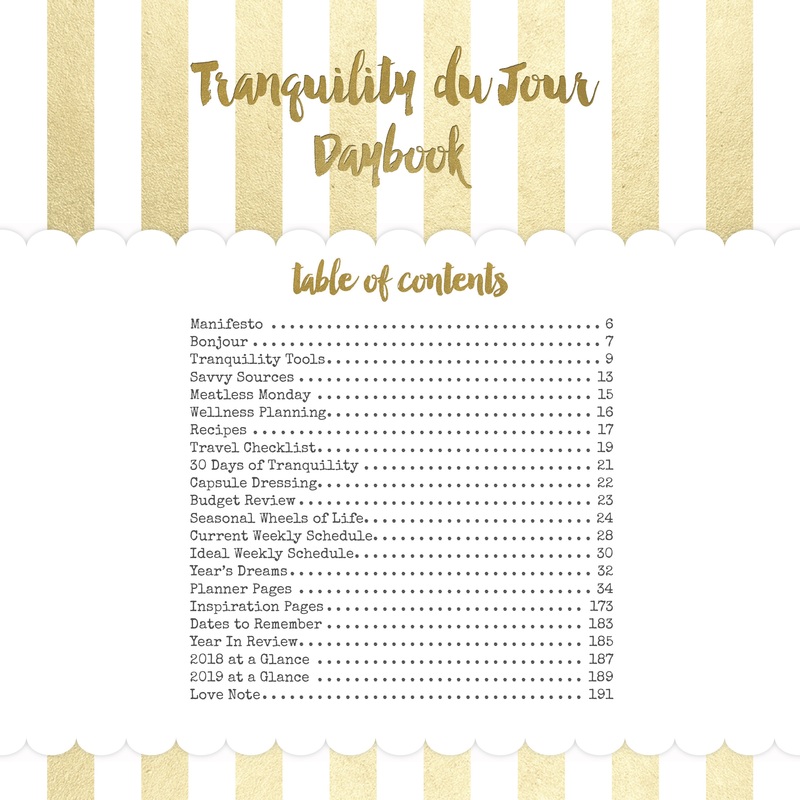 6.0 has been updated with more Tranquility Tips to assist with infusing the 32 Tranquility Tools into your day, more space for daily to-dos, an additional row for weekly projects, new colorful photos from travels and daily life, and more! 8.5 x 8.5.